I just turned the big 3-9 on April 17th. One more year in the 30s. The day started in my spinning class. I told the class the week before that my birthday was coming and I would bring them presents to celebrate. 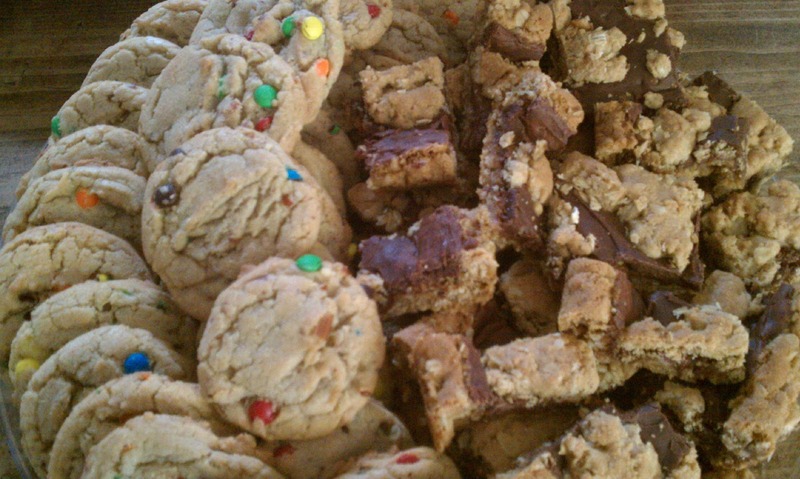 I arrived with a large plate of M&M pecan cookies and chocolate oatmeal moomoo bars. Some of them complained about burning calories in my class and then being tempted by cookies. But, I think they liked it. There were so many cookies left and I certainly didn't want them in my kitchen, so I passed them out wherever I went through the day greeting people with, "It's my birthday. Would you like a cookie?" Strangers were surprisingly willing to take a homemade cookie and then tell me interesting stories about their life. It's amazing what someone will share with you over a baked goodie. My family gave me great presents. 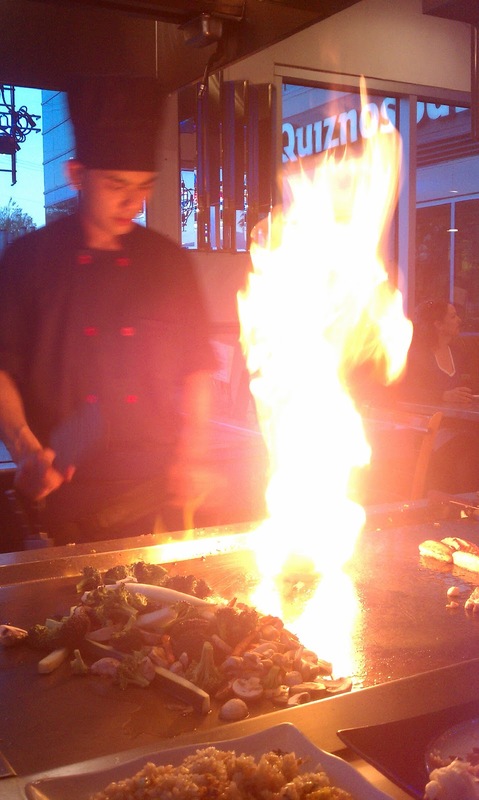 We went to eat at a Japanese teppanyaki grill for dinner. It was a lovely day. Thinking about turning 39 over the last year was definitely worse than actually turning 39. As I've thought about age and reflected through the years of my life, I realized the nines have each ushered in significant seasons of difficulty, change, and growth. I'm sure this is true for most people. Unfortunately, my new commitment was put aside for the next few years. I wasted so much time drinking, partying, finding comfort in the arms of boys who pretended to be men. My spirit was wrecked in seeking security and love through the approval of my peers. I was desperately lonely and sought to fill the holes with rebellion and popularity. Not surprisingly, the empty shell that was my spirit was the only thing that was filled. When I turned 19 years old I was at New Mexico State University. My life had swung from one extreme of partying to the other extreme of seeking after God. Healing in my heart continues to be one of my pursuits, but the four years I spent in college laid a foundation of scripture, prayer, and community that God continues to use in my life. Over the next few years I married a man I never thought I would find. We traveled, lived in another country, adopted a beautiful daughter, had three other children, and moved to two different states. God used the adventures to teach us great things about Him, ourselves, and each other. My heart's capacity to love and be loved was one of the greatest gifts God gave me through my 20's. At the age of 29 I lived in the beautiful city of Lincoln, NE. I remember a friend of mine named Gina who was also from New Mexico said, "We get to live in a place that has fireflies!" She was right. The greenery, the flowers, the people, the Husker nation, the cleanliness of Walmart all showcase some of the beauty that is Lincoln. The prospect of turning 30 seemed bright and glorious as I lived out my version of the American dream. I wrote on the first page of my new journal, "I wonder what God will have for me in my 30s?" Little did I know my family was about to embark on our biggest and most difficult adventure. 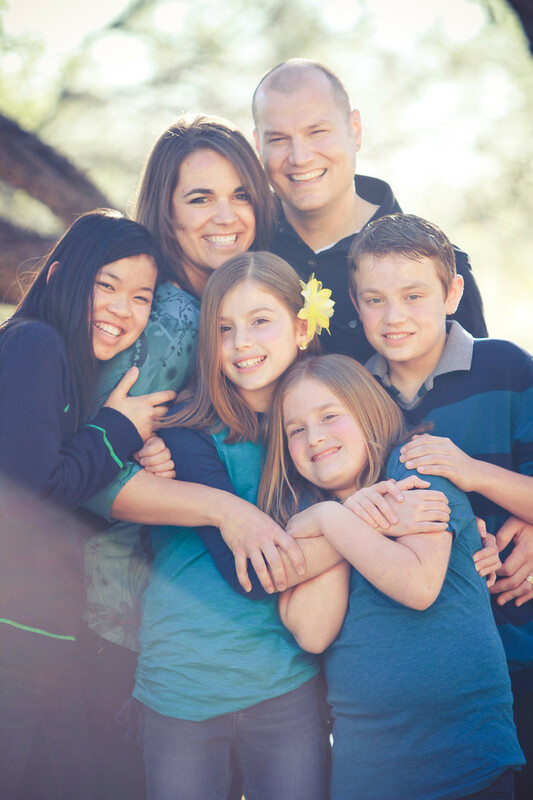 A few months after that journal entry we decided to move to Tucson to plant a church. After moving to this mountainous, beautiful desert I began to see that my heart was so similar to my surroundings. God crafted me together which is beautiful, but I had built high places of defeat and self-hatred which led to a personal dryness and a tough exterior. The truth is I continued to carry lies I chose to believe from my childhood. Struggling to gain the approval of others plagued me. Believing that I was the fat, ugly, dumb girl in the room consumed me. In my early 30's God freed me from this lie through much prayer and refinement. He has used my 30's to fortify His work in my life and teach me about myself, the gifts He's given me, my talents, strengths, and weaknesses. And now I'm 39 years old. Each decade has been stuffed full of character refinement, personal growth, and life-altering, God-given direction. The thought of turning 40 messes with my mind quite a bit to tell the truth. I'm not necessarily afraid of getting old, but I definitely want to be sure I'm not wasting time, that I'm living for a greater purpose, that I continue to grow and change. What will the years look like when I look back when I turn 49? Will I have a deeper sense of purpose? How will I be processing all of my kids living outside my home? What will my friendships look like? How will my marriage to Chad be richer than it is today? What will be the greatest lesson I learn in my 40's? Only God knows the answers to these questions. I'm glad He hasn't given me any clues to what the next ten years hold. To be honest, if I would have known at age 9, 19, or 29 what I was about to go through, I would have absolutely chickened out. He obviously knows what He is doing! Many, O Lord my God, are the wonders you have done. The things you have planned for us no one can recount to you; were I to speak of them there would be too many to declare. Angel you have such a beautiful family! Your story encourages me, because life hardly goes the way we think it will. Looking at your life gives me hope for the many uncertainties I seem to be facing as I go through my 20s. I am so thankful to be loved by a God who really is in control of all the details of our lives. I love and miss you all! well, happy belated birthday! i didn't know! LOVE you. this post is beautiful, i always find great encouragement through others reflections. thank you for sharing. you are an inspiration, pointing me to christ!